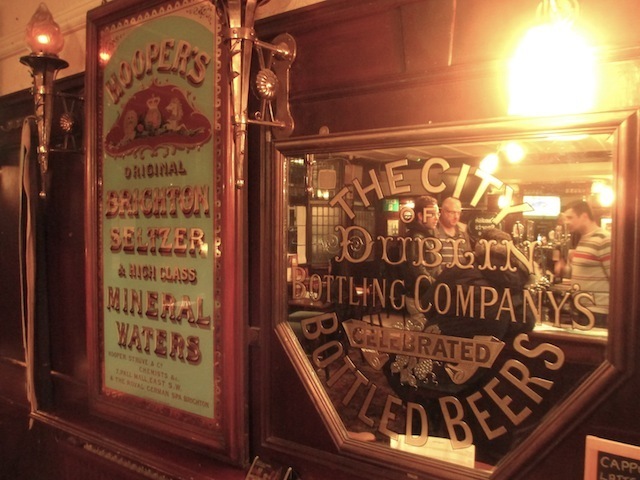 This pub is included as it features in the Londonist Book of Pub Crawls. 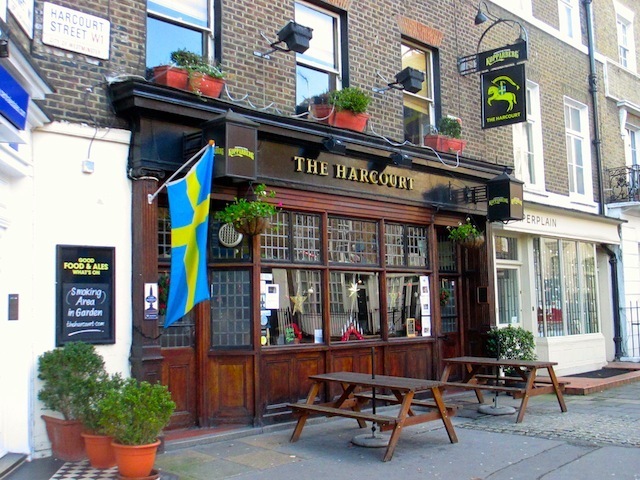 Practically next door to the Swedish Church and with the Swedish Embassy a five minute walk away, The Harcourt Arms has embraced Scandinavia for all it’s worth, and bills itself as a 'big corner of Sweden in the heart of London'. Even with Swedish sport on TV, a menu packed with meatballs, herring, cabbage and pancakes, Koppaberg cider on tap and bottles crammed into the fridge, the bit de motstånd (Swedish for piece de resistance — according to Google Translate) is the Svenska Salon, a small room off the main bar. It’s painted sunny yellow and furnished with squishy sofas, and there’s fun to be had working out who all the Swedes are in the proudly hung photographs (ten points to anyone who spots the Roxette picture). A Poland v Sweden handball match was on the TV during our last visit, making a welcome change from Sky Sports News. We're told they show the Eurovision Song Contest, too, which might make for an entertaining night. The rest of the pub is fairly normal and there’s a lovely sunken beer garden out the back. If Swedish cider isn’t your thing, try the Doom Bar, Hobgoblin, Kirin or Becks, or something from the (quite pricey) wine list. Warning: to catch the tipsy unawares there's an un-signposted dip in the floor towards the left-hand side of the pub that nearly did for Londonist during our visit. Come to think of it, the whole front bar seems to be on a bit of a camber. Perhaps it's the Swedish way, or perhaps quaffed one too many.